Home tracing is the process by which we go with a child who has been living on the streets back to where they came from. It’s a chance to meet with relatives, neighbours and local leaders to investigate why the child came to live on the streets and to let us work with the child and their community to plan how best to help them leave the streets for good. How do you reach that stage? 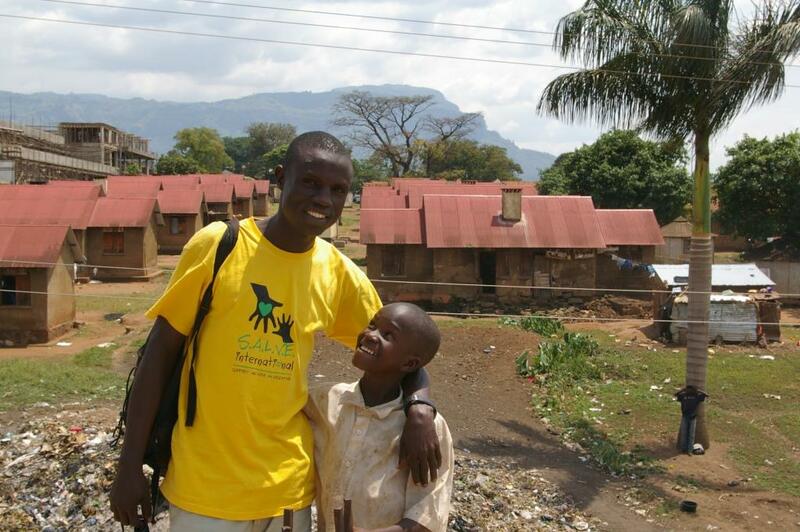 One of the keys roles of our street outreach programme is to allow S.A.L.V.E. staff to build relationships with the children and understand their stories. Our staff have a wealth of experience in dealing with vulnerable children living on the street, and will work together to identify children who are ready and able to leave the street. This can be children who have spent several years on the street, but are now determined to change their lives, or those who are very new on to the street and particularly vulnerable – for instance those who are very young. Once we have identified children who trust us and want to change their situation, we can refer them to our halfway home or drug rehabilitation programme for further care and counselling. When they are ready (which can take anywhere between 1-9 months) we will take them for home tracing. Home tracing involves taking a child back to where they came from to speak to their relatives and local community members to find out more about how and why the child came to be on the streets. Whilst some children take to the streets as a result of losing their parents, many are there for different reasons, whether poverty, war, illness, neglect, abuse, or all of the above. Some children may even have run to the street because of the influence from their friends. Home tracing is a very crucial stage in our programme as it shows a deep level of trust between the child and the team that they allow us to take them back to where they came from. It also allows us to view the home circumstances ourselves and to see if the factors that led the child to the streets can be resolved or not. We might end up home tracing the same child to several different relatives in different parts of the country as part of this process. Our aim is to see the child resettled with their relatives. This might take a long time and might involve working with several different branches of the child’s extended family. If no family members can be found we would look for a foster family to welcome the child. We believe that families not orphanages offer the child the best chance of thriving off the streets. The process of building a relationship with their family members is different for every child. We assess this on an individual basis and make a plan for them as a result. They always have our halfway home to return to in case of a family crisis and we do regular check ups by phone and in person to make sure they are doing well. Whichever option is agreed on (between the S.A.L.V.E. team, child and their relatives) we also include the local councillor in the discussions so they can help the family if we are resettling the child. If the child is resettled we will continue to monitor and check up on them over time to check on their progress. 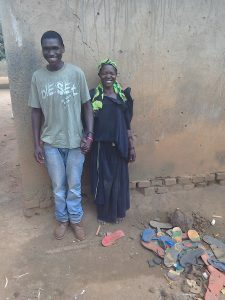 If we feel that the family is able to offer the child the love and care they need, but are struggling to provide for their basic needs such as food and education, we support the child by paying their school fees through our educational sponsorship programme and help their families through our family skills and business development programme.